When you see real actual documents from the perpetrators themselves; you can call it conspiracy because conspiracies exist, but you cannot rightly in good conscience call it theory. 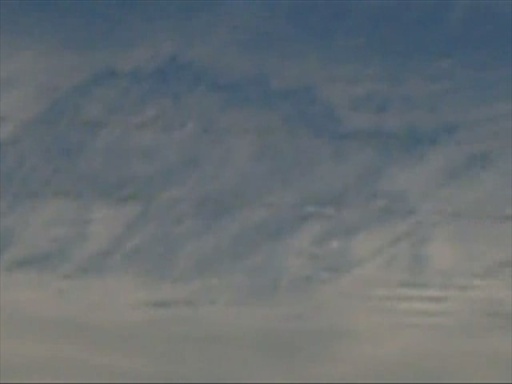 the strange textures of "clouds" and other substances in the sky. 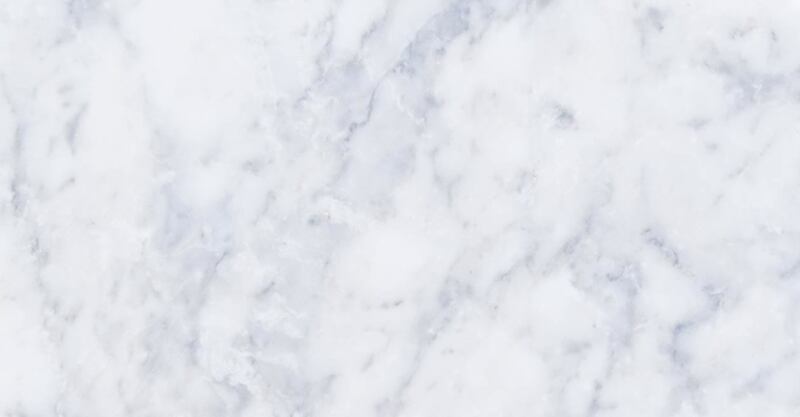 If you take the time to take a good look at the environment that is above your head, you are likely to see a sky similar to what is in these pictures. If you hang out a while on this site, you'll learn more about electromagnetic frequencies and aerosol spray programs from government, military, and scientific documents. There has been an ongoing occurrence for more than two decades that has been in plain view yet goes unnoticed by the majority of the busy, hurried, and distracted public. This is something that has existed for several decades, but was used only in small areas for testing and during wars (Agent Orange, Gulf War Syndrome and Operation Popeye for example). There is no denying that jets had the ability and the mechanics for this for several decades, but the global and daily practice of this is relatively new - has been occurring for almost 20 years and has been getting progressively worse. This is now something for which the government has propaganda for hiding and denying and something that is currently being proposed to be done in the future. What is this activity to which I am referring? It is called "chemtrails" and was listed by this name in HR 2977 IH as item #2 under the category of "exotic weapons systems". It is now referred to by the military as aerosol scatterings or geoengineering and by scientists as solar radiation management. There are several purposes for this aerosol scattering (as the military calls it). One purpose is for modifying the weather which includes intensification of storms and drought inducement as outlined in the military document entitled Weather as a Force Multiplier. This is only one of many military documents on this topic. 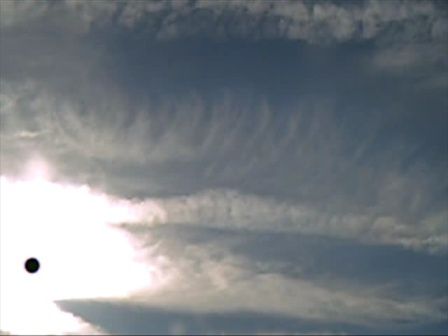 Not only are the aerosols (mostly aluminum, barium and strontium) being sprayed into our atmosphere, but electromagnetic frequencies through HAARP, Elf waves and scalar energy which the aerosol scatterings of soft metals helps to enhance are also being used. There are Congressional Acts that approve weather modification and patents that support it. 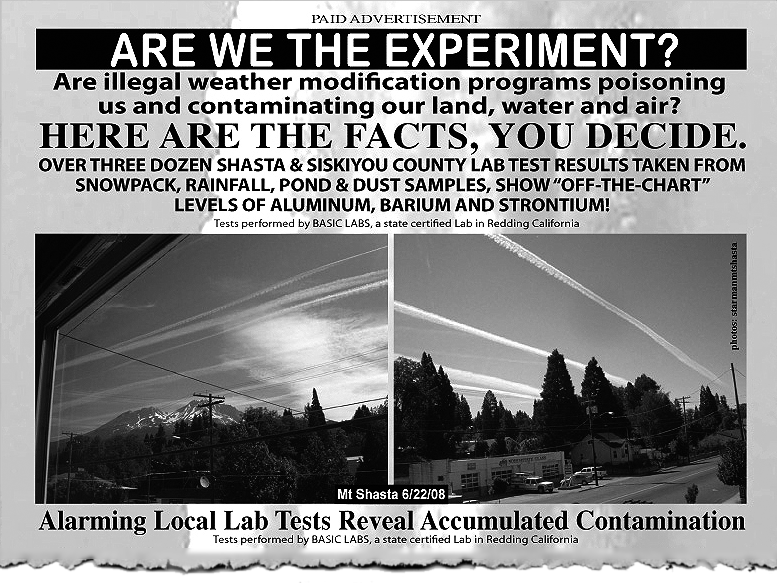 You can find many official military and government pdf documents and links that outline weather modification, mind control and electromagnetic weaponry on the Military & Government Documentation page of this site and much more information on this page, the Chemtrail Research, Patents and Article pages of this site (tabs at top of page). 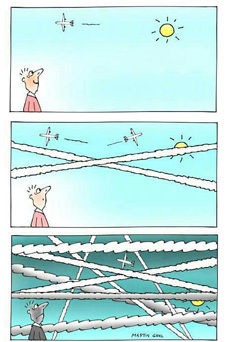 explaining and proving that chemtrails are indeed being dumped onto us. This is a must see. reminds the audience of "the unthinkable" perpetrated on citizens by the government. 1999 USAF Chemtrail Chemistry Manual (See also the Chemtrail Research Page of this web site for screen captures and link to Amazon sale of this manual). Ask Yourself, Do these really look like natural clouds or normal condensation trails (effects of hot exhaust hitting cold air) to you? Questions you might not have thought to ask. 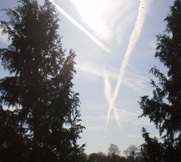 What is a Contrail (versus what is a chemtrail or aerosol spray)? 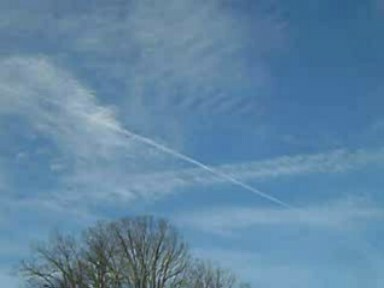 Do passenger planes really fly close to each other, make grids, x's, parallel lines, triangle patterns, etc. Can you see what's going on over your head if you always look down toward the ground? Would government secrets or military projects be announced to the public on TV, radio, or newspapers? Do you know who owns the media? Are you choosing what your tax money pays for? Of course not, so do you know where it goes? When massive rain clouds don't|won't bring rain, where did the rain water go? Can it be hot enough to evaporate water out of clouds and cold enough at the same time for the heat of a plane's exhaust to turn white from hitting cold air (like a car's exhaust in the winter)? Think about it. Can it be dry enough to dry out rain clouds, yet humid enough for exhaust from planes to spread out into fake clouds (at the same time it's so dry that rain clouds shrivel up (with characteristic flat-textured white aerosols behind them from supposed plane exhaust spreading out)? On days when there's no rain clouds (if you're in a drought [induced] area) and there is suddenly almost no air traffic, ask yourself, "does the airport close on days when there are no rain clouds? Have you ever seen in person or in pictures (or heard of anyone seeing) exhaust from a car freeze up in mid-air, take 20 minutes to several hours to melt, and turn into clouds? Is it colder at cumulus cloud altitude in the summer than it is on the ground in January up north? If not, then why does an airplanes trail freeze up for hours at or below cumulus cloud level on a 90 degree summer day, yet exhaust from a car at ground level does not on a 10 degree day or colder? On days when the entire sky turns white from trail upon trail upon trail that meshes together, do you think that there's enough passengers to make the entire sky county wide (and beyond) white, or that all of a sudden all the pilots developed a psychic bond and decided to dump at the same time in the same area? Think about it, do either of those options make sense? Do you believe that a group of people in the government or elsewhere have never met with each other and made plans not announced to the general public? If you believe so, then perhaps you believe that conspiracies don't, never did, and cannot exist. Do you find it easier to laugh about something or dismiss it, rather than look it up and see if it might be true? Does the phrase "more planes" make you suddenly lose your ability to think critically, apply common sense, and see what's right in plain view and does the idea of more planes explain physics being defied? Why does the mainstream media constantly discredit and demonize the internet with constant stories of negative stories, videos, events, etc. on internet? Does exhaust (from plane or car) dissipate or solidify? When the weather is cold enough to put ice on the car windows, yet a jet flies over and has no contrail, does that mean moisture from a plane's exhaust freezes up only during warmer temps? Please think about this question and how that would be a defiance of basic physics. According to NASA it needs to be at least -40 degrees for a contrail to form (that is form--not freeze up for hours and spread out into fake cloud). That is why even on a colder day with frost on the ground, there can be a jet flying overhead with no contrail, yet in Spring and Summer when it's hot temps on the ground, sky is sometimes totally obliterated by "contrails". Why is there usually more air traffic when rain clouds are trying to develop or a front is moving in? Do passengers book their flights based on when there are going to be rain clouds? Realize that the government has never been pure or angelic and to think that corruption can or does exist in government does not make someone a "theorist". Realize secret government and military projects will not be announced to the public on TV. Crimes and Danger" by Chemcloud Kid. 300-page PDF report entitled,"Case Orange"by the Belfort Group Citizens in Action. WHEREAS, unmarked aircraft are daily painting American skies with bio-hostile substances; and WHEREAS, aircraft which carry no identifying markings can not be identified as American and are, therefore, presumed to be hostile aircraft; and WHEREAS, these unmarked aircraft have been proven to be emitting substances which drift to the ground and are hostile to the health and well-being of American citizens; THEREFORE, it is concluded that Americans are, and have been for years, under attack and have become the victims of BIOCHEMICAL WARFARE. the American people in their pursuit of the truth of this matter. THEREFORE, it is presumed that the aircraft either belong to the United States government and are operating under the direct command and with full knowledge of the United States government or, in the alternative, the United States government has knowingly and willfully conspired with an outside, hostile group to allow harm to American citizens. THEREFORE, it appearing that the United States government is violating numerous rights of its citizens and in so doing is in a state of treason against its citizens, it is up to the American people to exercise their rights and hold the United States government accountable for its actions or inactions, as the case may be. 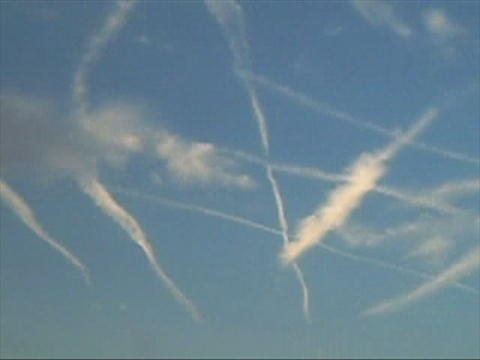 GOVERNMENT: Pursuant to the Bill of Rights, Amendment One, we, the people of the United States, declare that we are grieved over the presence of "chemtrails" in the airspace over the United States and hereby petition the United States government to take immediate action to cease all chemtrail activity in the airspace over the United States of America. 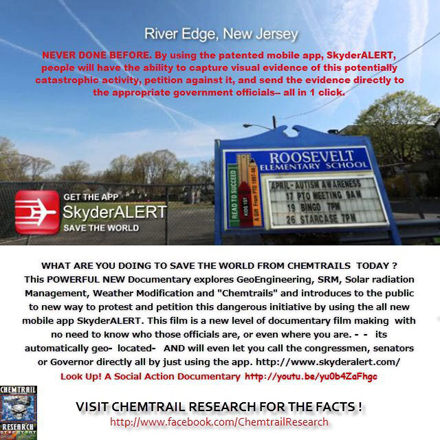 We, the People, further DEMAND an immediate, thorough and honest investigation into what the substance called "chemtrails"
(a) PURPOSE- The purpose of this Act is to-- (1) implement the Biological Weapons Convention, an international agreement unanimously ratified by the United States Senate in 1974 and signed by more than 100 other nations, including the Soviet Union; and (2) protect the United States against the threat of biological terrorism. 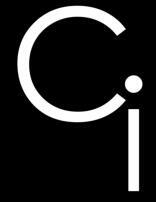 (b) INTENT OF ACT- Nothing in this Act is intended to restrain or restrict peaceful scientific research or development.